Keep your Samsung Galaxy S10 screen in fantastic condition with the official Samsung scratch resistant screen protector. 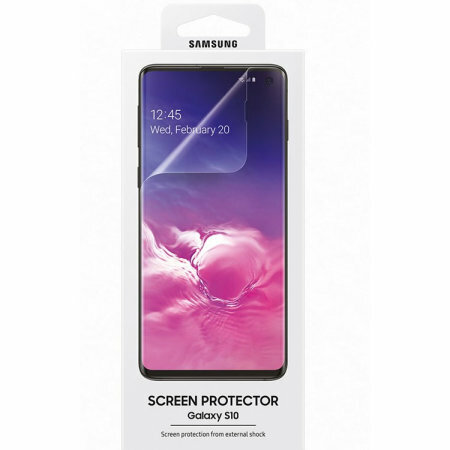 Manufactured by Samsung, these specialised screen protectors for the Samsung Galaxy S10 help to keep your phone in top condition by protecting the display from scuffs and scratch damage. The tough film layer creates a durable and hard-wearing barrier that will resist the rigours of everyday use. The Samsung screen protector is incredibly easy to apply, especially as it is custom cut for each specific handset. Simply give the screen a thorough wipe, line up the screen protector with your phone and gently place down from one side to the other - using the application card to smooth out any bubbles. 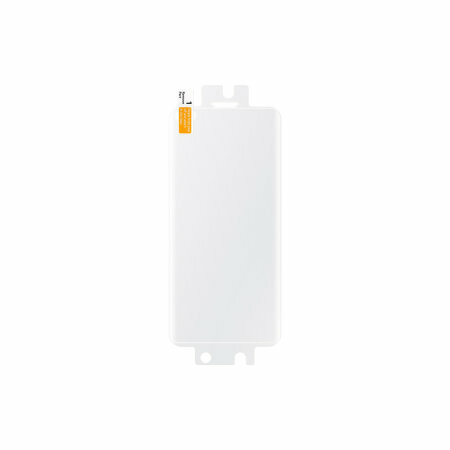 After application, you will notice that the screen protector is virtually invisible. While it's important to protect your screen, it's also vital that the screen protector doesn't hinder your smartphone use by clouding or decreasing the sensitivity of the touchscreen. Samsung screen protectors are specially designed to provide optimal clarity when used in conjunction with your Samsung handset, while also thin enough to keep your touchscreen in perfect working order. Once applied, you won't even notice the Samsung screen protector is there! Please note: For best results with this screen protector, please ensure that 'Touch Sensitivity' is enabled. For instructions click here.